Our British Standard compliant meter boxes are used and approved by British Gas, Scottish and Southern Energy, E-on, Electricity Northwest, EDF, Western Power Distribution and National Grid. Manufactured from an advanced dough moulding compound, and are used to house gas, electrical and cable meters. They are manufactured to local authority specifications and are available in standard sizes, with a number of different internal protection ratings depending on customer requirements. UK Standard approved recessed electrical meter box. This meter box comes supplied with hinges, lock and key. Dimensions Height: 595mm Width: 409mm Depth: 220mm Electrical Recessed Meter Box EB0011 (595mm x 409mm x 210mm) Detailed view of Electrical Meter Box Suitable for a single..
3 Phase large flush fitted electrical box - recessed (794x565x180mm) 180mm Overall 150mm Recessed Specification and Key features • Compliant to British Standard BS 8567:2012 • Constructed from GRP – Glass Reinforced Plastic • Fire retardant to BS 476, Part. 7, 1997, Class 2 • Complies..
UK Standard approved surface mounted electrical meter box. This meter box comes supplied with hinges, lock and key. Dimensions Height: 596mm Width: 410mm Depth: 220mm Standard UK wall mounted electrical meter box (596x410x220mm) SPECIFICATION • Compliant to British Standard BS 856..
• Large surface mounted 3 Phase electrical meter box (UK only) • Cable entry position via hockey stick (not supplied) • Multiple cable knock out positions • Will not rot or corrode • Can be buffed down and painted SPECIFICATION • Constructed from GRP - Glass Reinforced Plastic • Complete wi.. Suitable for use on external walls. EC1002 for Meter Boxes .. 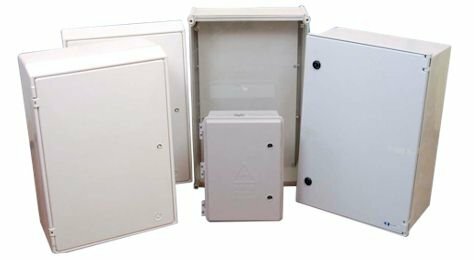 Detailed description of the Mark 2 surface/wall mounted electrical meter box (503x408x236mm) SPECIFICATION The surface mounted electrical meter box complete is supplied with a turn key lock as standard. This electrical box is deeper than most other boxes on the market and is therefore suitabl..
Recessed Gas Meter Box complete with Spigot and key Designed for installation to BS64000 1:2:3. Complies with BS8499:2009. Fire Retardant BS476, Part7, 1997, Class2Gas meter box - recessed - UK standard (595x409x214mm) FITTING INSTRUCTIONS 1. Build the box into the wall in the pos.. Detailed view of UK Standard Mark 2 surface mounted gas meter box. MK2 Back plates. PRS8 Compliant. Designed for installations to British Standard BS6400:1:2:3. 503mm x 408mm x 242mm FITTING INSTRUCTIONS 1.Backplate must be removed prior to installation and fixed to the wall. 2.. Designed to house G4/U6 meters and/or regulator assemblies (please note different meter spacers are required to suit different meters). Suitable for all new build, I.G.T installations This meter box is approved by Sensus Metering, Krom Schroeder, GTC, IPL, Core Utilities and British Gas Connecti.. DESCRIPTION British Standard approved replacement electric door suitable for the UK standard recessed and surface mounted meter box. This door comes supplied with hinges. Dimensions Height: 550mm Width: 384mm SPECIFICATION • Compliant to British Standard BS 8566: 2012 • Fire retardant ..